This is the summary of consumer reviews for Allen Deluxe Trunk Mount Rack - 2-Bike, 3-Bike and 4-Bike. The BoolPool rating for this product is Good, with 3.90 stars, and the price range is $35-$140 (For 2,3 and 4-Bike Racks). 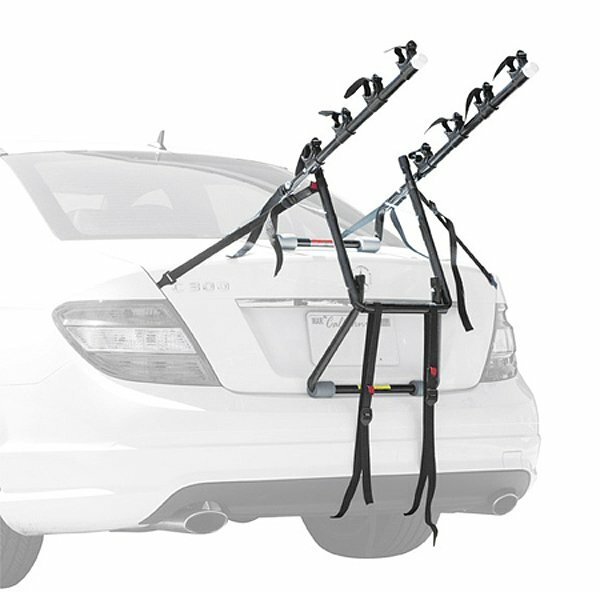 Allen Deluxe Trunk Mount Rack - 2-Bike, 3-Bike and 4-Bike racks are simple, sturdy bike carrying system that fits most sedans, hatchbacks, minivans, and SUVs via a single configuration design. The rack comes fully assembled, and it is fast and easy to mount on the vehicle. The deluxe Allen racks includes all hardware and straps for securely transporting the bikes. The rack is versatile to fit most vehicles but users recommend to check for compatibility on their website. Users say that 4 bikes can be mounted with no problems, as long as bikes are positioned correctly and it may need some jugglery. 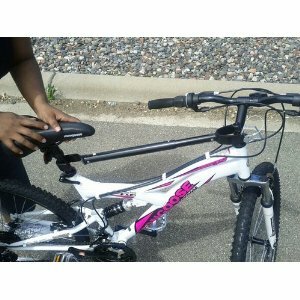 The bikes may scratch the car therefore users recommend putting some padding against the car to avoid rubbing and scratching. 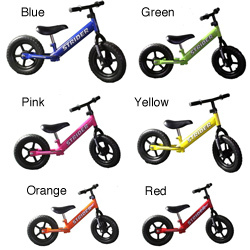 It can carry all types of bicycles, however, for women bike frames, kids bicycles and over-sized mountain bikes, it is recommended to use a bike cross-bar adapter that can aid in easy loading and transportation of these unconventional bike frame designs. All in all, the Allen Deluxe bike rack is an economical and reliable product that transports the bikes safely and lets you take your cycling adventures anywhere you want. After loading my bike on it, I drove 30 miles and thought that the bike was pretty secure. I purchased a more expensive bike rack before this one and returned it because the straps didn't hold the bikes in place securely. I recommend not fully tightening the bottom strap until after bike(s) are mounted, as the extra weight will allow you to tighten that strap fully. I was carrying a mountain bike and a regular 21 speed bike with no problem. There are only 2 people in my household, but the design of this 3-bike rack, compared to the 2-bike rack, looked like it'd mount more securely on my car because it's two straps that hook to the underside of the car, as opposed to one. The straps are sturdy and hold the bikes in place, even though there are only 4 straps (don't miss the other 2!). Bikes were held secure on my mini van. Relatively simple to set up (do a dry run before your first trip), functional for two mountain bikes, no extra strapping or tying needed. I don't strap to the bottom of the bumper (i.e., it's plastic), but instead strap the bottom straps under the trunk. This leaves more than ample excess strap to tie your bike to the Allen frame so it doesn't budge during a drive. It was easy to mount, easy to secure, easy to tie the Bikes down to, and easy to undo everything as well. 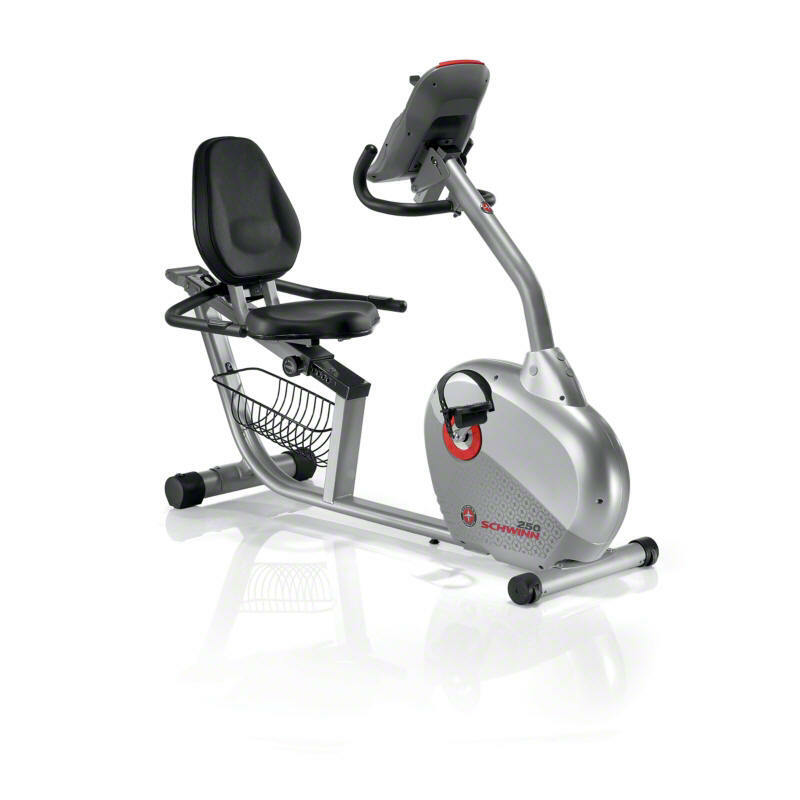 It was easy to set up, easy to get bikes on and off and is a good product. The bikes were very easy to get on, no noise or movement, easy to put on (we've a minivan), great to store (folds nicely). It held four bikes with ease and was easy to put on our Toyota Sienna minivan. very sturdy and easy to work with. 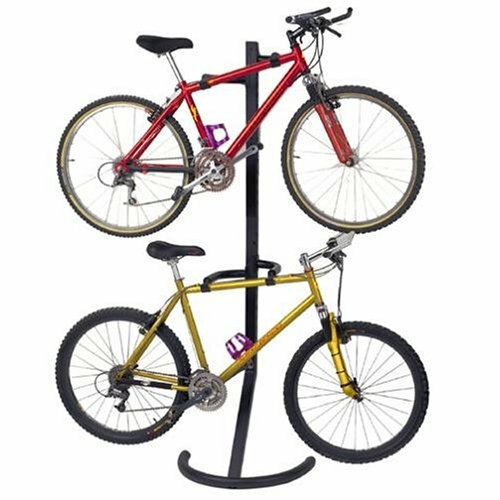 We've a men's & women's adult mountain bike and two children's 18" bikes. The Allen 4-Bike trunk mount rack was one of only a few available capable of holding 4 bikes. But it's quite easy to install and it's seem very sturdy. this's my first bike mount rack. We scratched the car a bit due to having bikes too close to truck. Be prepared to place a piece of heavy cloth or foam between the unit and your car, so no scratching occurs. It looks kinda odd on the car. Anyone using this style of rack will need to use bungies or other mechanisms to make sure you bikes don't turn into each other or the car and scratch. We were only traveling about 2 miles and only carrying 2 bikes, but the portion of the rack that was against the top part of the hatch completely crushed the car hatch and the bikes were nearly falling off the vehicle. 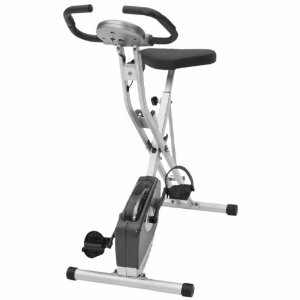 The first time I used this and got out on the highway my brand new Trek bike was flying vertically out from the back of my car. My 3 bikes didn't fit. This bike rack works as it should, and fits my prius quite well. Easy to use, fits my road bike and cruiser just fine. Compatability guide said it fit, but didn't really fit too well. We just received this rack and immediately discovered, based on the vehicle "Fit List" listed on the box, that this rack wouldn't fit our 2005 Honda Odyssey van. After purchasing several other racks that wouldn't accommodate my bike's frame (15" men's trek), I was relieved when my bike fit without a problem. Secondly, my adult bike fits, but my wifes female model doesn't, nor does my sons mountain bike. The good news is that 4 bikes fit on the rack with very little problem - I rotated the handlebars on bike #1 90 degress to help the puzzle fit but that was the only modification. I haven't yet tried carrying more than one bike, and while it appears to be well made and up to the task---it just looks like a tight fit for three bikes. There are many other specific vehicle models that this particular rack won't fit, but for the most part 80% of the vehicles listed will work. Maybe for lean racing bikes, but my road bike and two kids bikes were a tight squeeze. 3 light bikes would be no problem, but definitely look at sturdier racks if you plan on loading 3 heavy bikes such as steel frame mountain bikes. I use it with 2 adult bikes, 1 kid's bike, and 1 bike trailer (the 1-wheel type that hook on the back of an adult bike). I haven't tried 4 bikes on it yet, but it seems very sturdy and holds 3 bikes very securely. *As several people have mentioned, this bike rack won't fit all bikes. The arm supports apparently aren't wide enough to stabilize 2 bikes properly. The bike rack worked fabulously. If your bike doesn't have a horizontal bar on the frame, you'll need an adapter to mount your bike. My boyfriend and I took the front tires off because it seemed like the bike rack couldn't handle 2 fully assembled bikes. The bikes when mounted are in very odd positions due to the fact the women's bikes don't have the horizontal bar found on men's bikes. I purchased this rack to haul 2 mountain bikes on a 900 mile round trip. Just returned from a 400 mile round trip with two bikes on the new rack. I also liked how the plastic "cups" that hold the bikes in place are movable, allowing for different style bikes to fit (1 mountain bike and 1 cruiser/hybrid). Although we didn't take my wife's bike on the trip, the tension bar will be necessary for our next trip when we take all four bikes. We purchased the Allen Deluxe 4-Bike Trunk Mount Rack for a recent camping trip. My family and I Traveled over 1200 miles from Michigan to Tennessee with my mountain bike along with two kids bikes. Bike never moved from its place (in all 3000miles we traveled). 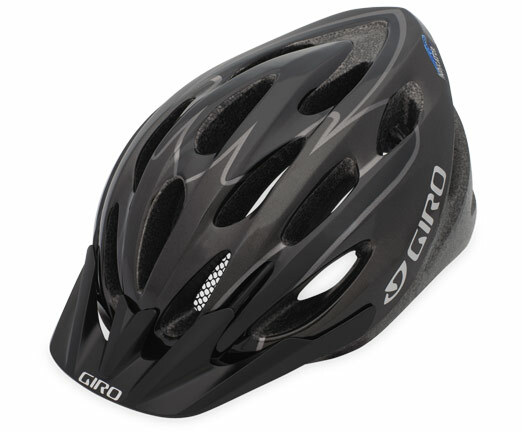 It seems reasonable stable and serves my purpose of occasional biking trips. 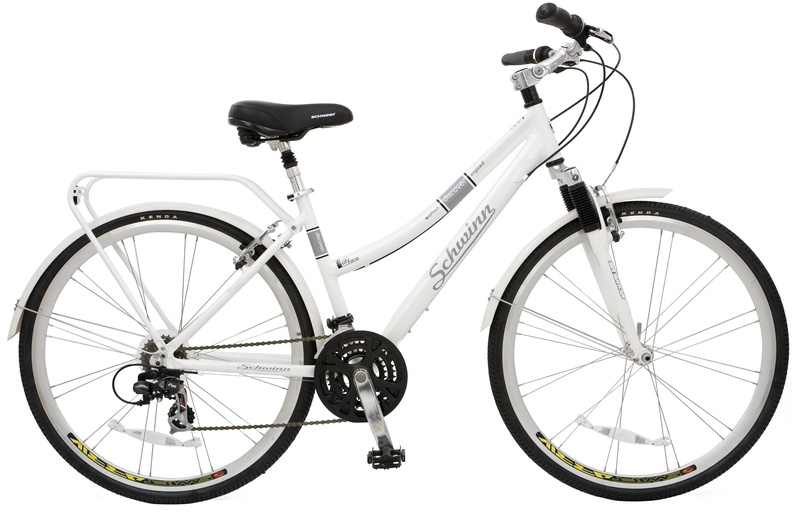 The rack easily accommodates 4 adult bikes, if one is transporting women's bike purchase the . I'd recommend the tension bar adaptor for a women's bike. The bike rack works well, the only thing I don't like is how the bike straps tend to slide down and closer to the car which could cause your bike to touch your car and scratch. Foam pads help protect car. We've two adult bikes, one medium bike, and one small bike, which all fit and ride perfect. There was very little movement of our bikes even with freeway driving. The rack was easy to install and held the bikes just fine - our only complaint was that if we put a bike at the inner-most spot, the bike would hit the back of the car. I imagine putting the bikes on will take a little longer if I don't want to damage the car. Then purchase the bike racks that fit into those that keep the bike away from your car and the product off the paint!!!. When I transport my bike, I use the outer-most spot to avoid having my bike rub against my car. Driving in a 35 mph zone seemed to make the bikes jump around and look very unsteady. Overall: just spend the extra cash to get a good bike rack that doesn't use straps to hold it on the bumper. We drove over a bump in the road and the two pins that hold the bike rack together failed. I recommend some extra velcro straps to help secure the wheels and keep them from moving in transit. My recommendation is to spend a few more bucks and get something that holds securely on its own. I've gone on the freeway and to the beach and over not so great roads and it does what it's supposed to: holds bikes when you drive. While the rack is a tad heavy for me (not surprising because it needs to hold 4 bikes) it's functional.